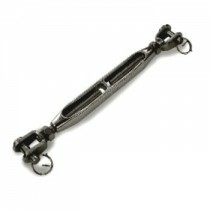 Stainless steel tensioners are used to take up slack and apply tension to a rigging assembly. As they are an essential component of a rigging application, it is important that they are made of reliable quality material. 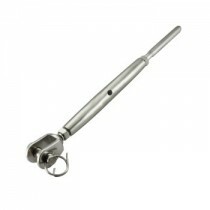 Keble's Trading offers an array of bottlescrew from Jaw & Jaw to Jaw & Tube in 5mm to 18mm sizes. 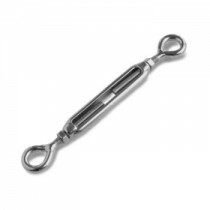 We have in stock of turnbuckles from brass body jaw & jaw to turnbuckle eye & eye in 6mm to 16mm sizes that are produced using the fine quality 316-grade stainless steel. 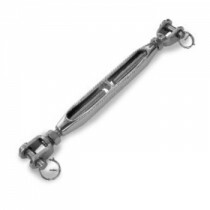 We source our stainless steel tensioners from reputable global-wide manufacturers giving you confidence that you are delivering a dependable rigging assembly. 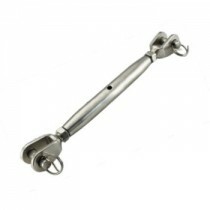 Turn to Keble’s Trading for reliable-grade stainless steel TENSIONERS. Talk to us! We speak your language! We understand your business. Call us at 1-800-067-687 or fill out the contact us form below. No inquiry is too large or too small. We would love to be of service to you today!